The changing landscape of the global economy has inadvertently changed the traditional business organization. Now more than ever, business organizations are inter networked and knowledge driven, with businesses grappling on how to master this shift. This dynamism is especially manifested in the workforce, where businesses have to recruit, hire and train their workforce to keep up with trends and stay ahead of the competition. Getting the right mix of human capital is a daunting task. Consistently ensuring your staff learns to create utilities for a business organization is even more difficult. However, there is a solution. Founded in 2010, Oxynoia Consulting is a software company that provides bespoke E-learning solutions for business organization and education institutions with the aim of creating efficiency as well as boosting productivity through continuous learning. According to Eugene Akatsa, Oxynoia’s CEO their goal is to make learning enjoyable by creating solutions that generate curiosity and eagerness to learn. “Everybody needs to learn however little they consume. We want to offer a platform that allows users to enjoy this process and in turn develop a passion for learning”. Eugene says Oxynoia was born out of passion for e-learning. Prior to that, he was part of a business called Brandits that offered custom electronic and web branding solutions.The decision to rebrand to Oxynoia Consulting was informed from the need to have a more focused brand that would meet client’s needs effectively. Information technology has revolutionized the learning experience in recent years, opening up a wealth of work training opportunities through e-learning. With employees’ time often stretched to the maximum in today’s business environment, finding time to devote to ‘classroom-style’ training can be difficult and costly. Web-based learning provides a cheaper, more flexible training solution that enables employees to train at their desktops, working at their own pace wherever and whenever they want. E-learning gives staff the flexibility to fit in training around work commitments and make maximum use of their available time. As well as providing flexibility for busy employees, e-learning also provides huge benefits for staff with disabilities or mobility problems, or whose irregular hours and shifts mean they are unable to commit to a regular external course. With Oxynoia, bespoke courses are made just for you. They cover only the content you need, nothing more, nothing less. The course material and interaction modules are given your organizational branding and a look and feel that’s right for you. They can make it read like your ‘house style’. They can also make it available via any format that your learners find convenient for maximum results. Catering to a specific audience or multiple audiences locally or in regional offices. You’ll get a course perfectly tailored to your training requirements, timescales and budget. The course can be set up to work with your own Learning Management System (LMS). If you don’t have one, Oxynoia have additional hosting services. They work with you to make sure they understand both your organizational objectives, subject matter and training requirements. They also work with your learners to find out more about their working world, what they need and how the proposed project fits into this picture. Oxynoia will then produce a curriculum and course blueprint for feedback, review and sign-off – “We don’t start any development until you are happy”, says Eugene. They use rapid prototyping, producing small snippets of learning and learner journey wire-frames for review and sign-off. Oxynoia only gets going on full scale production once everything is clear and everyone is happy. Finally, the course is produced with all supporting materials. E-learning can include a lot of different types of learning. When people say e-learning, typically what they mean is online modules which learners work through on their own, at their own pace. These are typically delivered over the internet, but can also be delivered via CD, or downloaded. These can include a range of media, including flash animations, audio and video. They often have some assessment component to test for understanding. What’s in it for you? What are the benefits? ▪ In the absence of an instructor, employees are able to use online support, such as: chat rooms, bulletin boards, chat rooms, live messaging support, and forums. For a typical organization, training takes place through the ‘train the trainer’ model. A selected number of team members are selected to undergo training on a new product, process or service and they are then expected to transfer this knowledge to their fellow employees once the training exercise is over. The challenge of this approach is lack of consistency and effectiveness in passing over the knowledge. The training exercises are also expensive for the client. Oxynoia provides the client with a packaged product that incorporates all their training resources from company news to information on new products and services as well as learning modules on specific topics such as customer relations, IT and finance. This is through a bespoke product known as oxyLearning. After the client provides the learning resources, Oxynoia conducts content chunking where they cluster the content into small packages with the most relevant information. The rest of the content is then presented in graphic format or as a voice over, thus enriching the learning process for the user. Once the organization’s resources are plugged into a packaged course, they are deployed to the client’s server or delivered by cloud. The company can then share them to users through their user profiles on active directory or any other internal service. Once a user completes a module, the learning and development or talent management department can then track the performance of the employee. Any human resource department should be able to gauge how well their employees are learning and performing. OxyLearning not only allows the HR department to develop a learning curve for individual employees but for a department and the organization as a whole. The learning management system draws reports based on how the employee is performing and through this, a learning curve is plotted thus offering insight on which areas need to be adequately furnished. In addition, the organization is able to generate key information when making corporate decisions based on their employees capability. “Our courses are developed using the shareable content reference object model (SCORM) and also the TINCAN (Experience API), these are e-learning standards that foster communication between developed courses and the LMS”, he added. Talent management systems offer data from the learning curve and highlights areas that need special skills. “A business with multiple branches can identify specific areas it thinks need reaffirming and direct resources. From this compartmentalised data, a business can also identify talented individuals who can serve in managerial positions. Based on this data, a business can identify an individual who performs exemplary well in various modules, shows deep interest by constantly reading available information on the module. They can then serve in new manager positions aligned to their interests”, he added. Assuming you are a new client interested in the oxyLearning product for your business, how do you go about the process? After getting in touch, the team at Oxynoia prepares several demos to show the course and what to expect from them. The products are bundled into three tiers each with different deliverables. The client then chooses the tier that makes sense to them upon which, project expectations are defined. The client then sends their training material and in instances where content is to be protected, non-disclosure agreements are signed. The SLAs are then defined with Oxynoia promising the solution in about 72 days. The final product is then deployed via cloud. The team at Oxynoia then offers training to the staff mostly a select group of the Learning and Development department. Oxynoia currently boasts of a number of clients from various sectors including financial services, regulators and ICT. Among them include KCB Bank Group, Commercial Bank of Africa, Liberty Life Insurance among others. Eugene cites culture as the biggest impediment to the growth of Oxynoia. 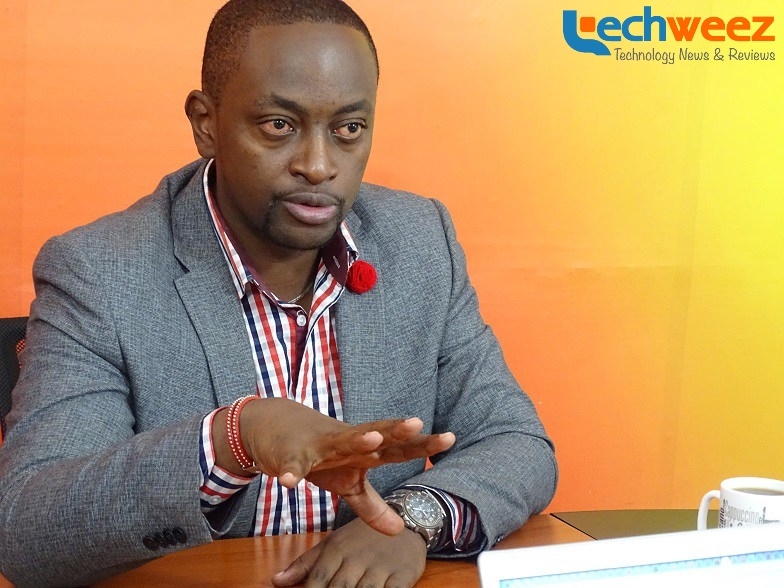 “Kenyan companies do not know about e-learning. We face an uphill battle of changing this by letting them understand the endless possibilities e-learning provides”,he said. “When talking to prospective clients, we have to show them how this cuts their training budgets, the immense benefits their employees will get, but the process takes quite sometime”, he added. Other challenges emanate from the pricing as the solution is quite pricy for small organizations. “The value we are creating surpasses the cost for these organizations”. Oxynoia’s plans for the future involve venturing to new areas including schools. “We plan on spreading the value we are creating not just to corporate organizations but to schools and anyone else facing training challenges”. Oxynoia also plans to scale in operations. The firm currently has 3 developers and 3 directors but plans to grow this number to meet growing demand.